Make local law enforcement agencies more effective in the fight against crime through YOUR involvement and participation. Addresses quality of life issues and mutual interests in your community. You've heard about the benefits of NEIGHBORHOOD WATCH participation. You suspect or know that there is a crime problem in your area. How do you get a program started in your neighborhood? Form a small planning committee of neighbors to discuss needs, the level of interest, and possible problems. Decide on a date and place for an initial NEIGHBORHOOD WATCH meeting. Contact your local law enforcement agency. Request that a crime prevention officer come to a meeting of your group in the near future to discuss NEIGHBORHOOD WATCH and help assess your community's problems and needs. Inquire about crime statistics for your area, but bear in mind that crime is typically under-reported. Ask that the officer bring to your meeting a list of local and national contacts that will assist you in organizing and keeping your program going along with samples of NEIGHBORHOOD WATCH signs, decals, and literature. If they would be willing to attend a meeting to organize a NEIGHBORHOOD WATCH group in your area. You may be surprised to learn how many of your neighbors' lives have already been touched by crime! The above is just a brief overview of how to start a NEIGHBORHOOD WATCH GROUP. 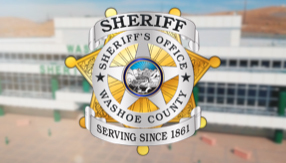 Click on e-report to report (online) a crime or suspicious activity in the Washoe County area.